September is here and so is our monthly DIY Blog Challenge!! This month’s theme is “FALL/AUTUMN”! We all had to come up with an idea to incorporate the theme. You can catch up with the previous months posts here. I love making frames and DIY art. For this month’s challenge I decided to create a quick project using some scrabble tiles and a box frame! I used the backing from the frame and traced the wallpaper, then neatly cut it out and glued it on using mod podge. I cut out some fabric and glued it on the backing, then assembled the “HELLO AUTUMN” scrabble tiles and glued them on using a hot glue gun. Then simply assemble your frame and you are all done! Here are the other bloggers taking part in this month’s challenge. Be sure to check out what they did!! So pretty! I love the wallpaper you chose as a background. 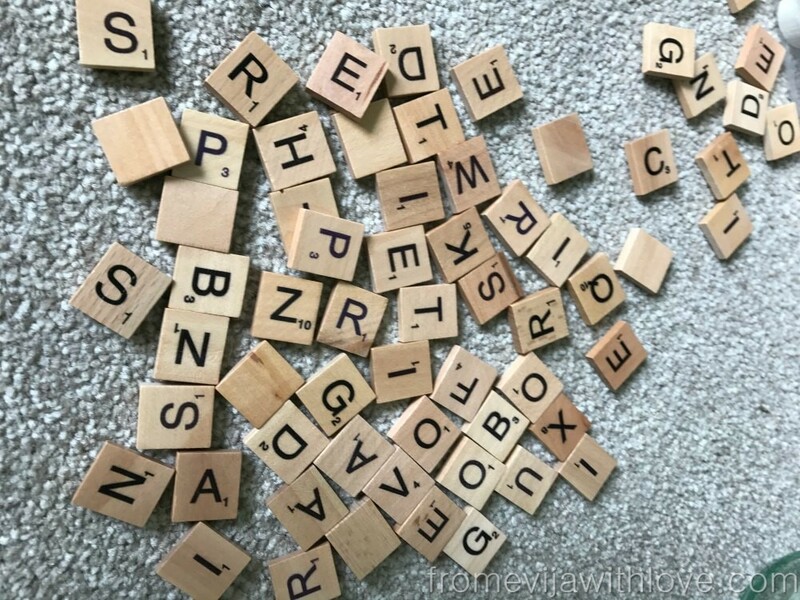 Such a cool DIY, loved the idea of using scrabble tiles. I love it! Simple to make and really pretty! Your project turned out cute as can be. I’ve never done anything with scrabble tiles, but I love the projects I see with them! Such a lovely fall project Evija. Thank you for sharing at Create, Bake, Grow & Gather this week. Have pinned to our party board.